We can, it seems, be sure of three things in this life: death, taxes and that any story concerning China's influence in our region will dominate the news cycle. 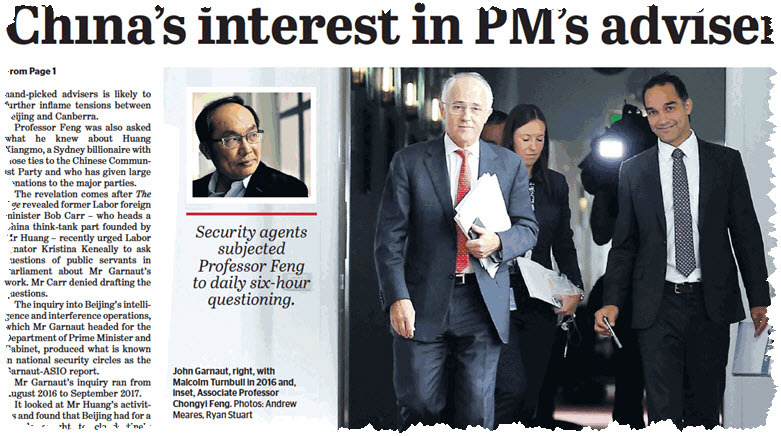 So it was when The Age reported on Monday that former foreign minister Bob Carr had been urging Labor Senator Kristina Keneally to grill the Prime Minister about the role and employment contract awarded to consultant and former adviser John Garnaut. It's already kicked off calls that Carr be expelled from the Labor Party for his "disloyalty". Senior Labor figure Wayne Swan has criticised intelligence agencies for leaking against Labor in the foreign interference debate.